1. In a small saucepan, combine the dashi, soy sauce, mirin, and sugar, and bring to a boil over medium-high heat. Add the chicken and mushrooms and simmer until the chicken is no longer pink, about 2 minutes. Skim off any scum or foam that rises to the surface. Add the green onion and cook for another 1 minute. 2. Crack the egg into a small bowl and stir with chopsticks or a fork until well mixed but not foamy. Pour the egg into the sauce in light trickles, using chopsticks to slow down the flow, and cover the entire surface of the pan. Don’t stir. Cover and cook until the egg is just set, 30 to 45 seconds. The egg will be like a soggy omelet. 3. 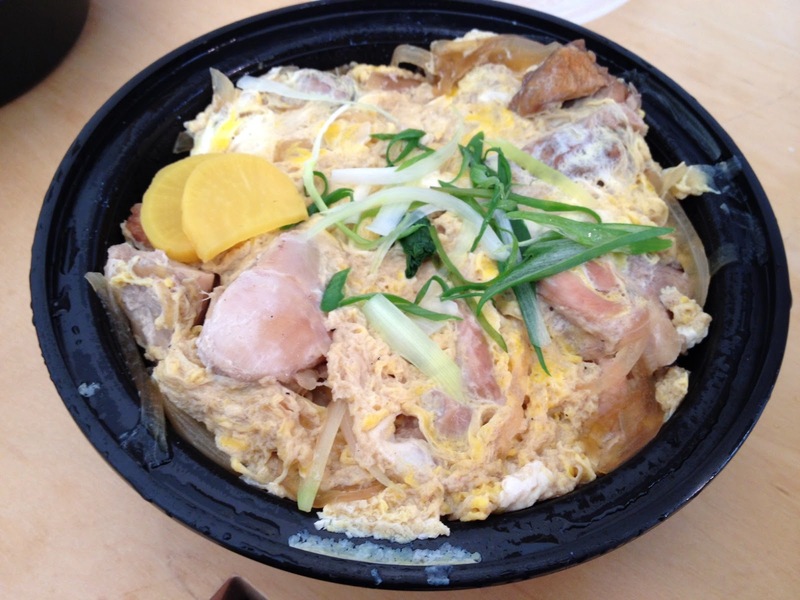 Scoop the rice into a donburi (Japanese earthenware bowl) or any large bowl with a wide mouth. Ladle the chicken and egg mixture, including desired amount of sauce, over the rice. Sprinkle with the reserved green onion and serve immediately.